Woodpigeon and Collared Dove songs can sound similar. Practice getting your ear in here! 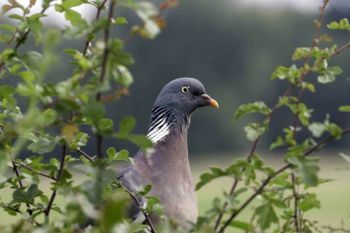 Woodpigeon song is often described as sounding like 'my toe bleeds, Betty', 'take two cows, Taffy', or 'a proud Wood-pig-eon'. Perhaps you will come up with your own memorable phrase! 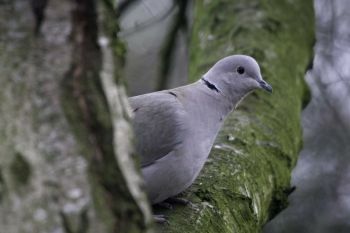 Collared Dove song is rather simpler than that of Woodpigeon. It is akin to a football fan chanting 'un-it-ed, un-it-ed, un-it-ed' - take a listen here.